Summer is slipping by much faster than it used to. I have clear memories of the week between Christmas and New Year passing so slowly it felt like a month rather than a week. Now it feels like a day or two. I don't like the hot weather. The humidity saps the will to live from me and I yearn for cold mornings, pots of soup simmering on the stove and wearing my cardigan and shawl. Now, at the end of January, I can see that time will be here again soon. My energy will increase, new plans will form in my brain, we'll plant up a new garden and the ordinary tasks of a simple life will ease us through the cool days again. But today, while it's still hot outside, I'll have plenty to do to keep me out of mischief. 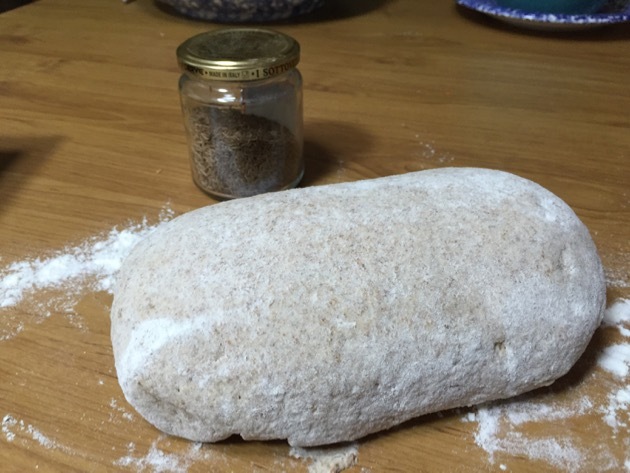 I bake bread every two or three days, there is always a meal to serve at the kitchen table at noon, biscuits or cakes are baked for morning tea, drinks are made and of course we all know about the cleaning we all do. I'm not gardening now that the summer season is coming to an end because we let the garden die off, but I still water the herbs, chillies, fruit and all the pot plants. 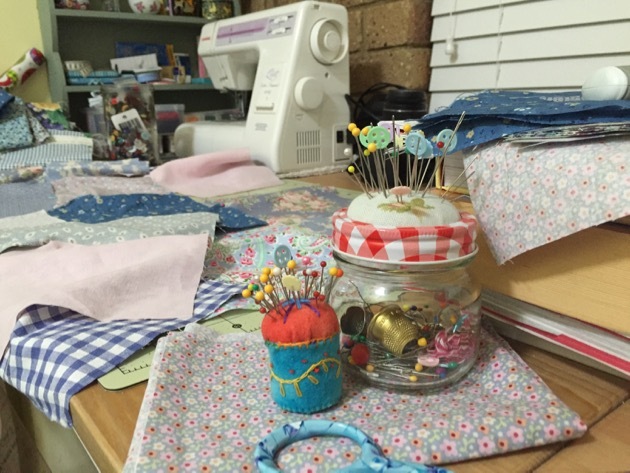 The time I will spend outside during the cooler months is now taken up with sewing some little dresses for Tricia's granddaughter, Alana and making the things I need for our home. Today I'll put the backing on a patchwork cover I made for the couch and I decided yesterday that I'll make a tea cosy using the leftover cotton wadding. I use an enamel teapot and although it doesn't need any help in staying warm in summer, in winter it's a different story. As the weeks go on, new household linens will come to mind and I'll slowly produce the things I prefer to make rather than buy. Doing these simple tasks reveals to me every day that what we have here is real life. It's not hidden behind fashion, stress or longing for someone else's life. I feel that this is where I should be and this is as good as it gets. Our life isn't fancy but it's productive and genuine, and after those years of mindless spending I can say that now we're settled, focused and happy. I've always been a summer person, a heat seeker, but this summer and last have held less joy for me. The heat seems to be getting to me a little, my knees and hands feel swollen of a morning (which I can only attribute to the heat, even though I'm only 44) and I too am finding myself looking forward to Autumn. Strange isn't it?? I too have given up summer gardening, the humidity contributes to fungal diseases and keeping the water up to the plants can be so hard especially as we often go camping over summer. I will have to give some thought to Autumn planting soon though. Your bread looks divine, I can almost smell it! Hi Rhonda, I don't like the heat as well. It drains me and I feel terrible. My husband can work all day in the heat. I don't know how he does it! I too cannot believe how fast the weeks are flying by. We have been so busy here and homeschooling starts back next week so I had to stop all work on the house and focus on that. But I'm pleased to say that I am all organized for Term 1 and that is a huge relief! Your bread looks really delicious and your quilt is lovely. I can't wait to get back into sewing. I wonder what box my sewing machine is in???? What a lovely post! How nice that you are exactly where you want to be in life! You are truly blessed!! Morning Rhonda, what a great post, don't children grown up fast, my grand niece is also starting prep on Wednesday. I can remember holding her as a baby and thinking how wonderful to be in the life of the next generation. I have had a productive weekend just pottering in my home. Have a great day. I am in the midst of Winter here in my corner of the U.S. We have been quite cold here, so in a way I look forward to Summer's heat. But not for long. I find that humidity saps all my strength and ambition, too. Today, I plan to do some laundry, make some apple crisp and work on an apron I am making for a friend. I enjoy hearing about the pattern of your day. For some reason it is always calming to hear about. Routines always help me and I find I am constantly fine tuning mine to work better. Have a great week ahead! There was a blizzard yesterday in some places, but we only got three inches or so, and some high winds. Today it's sunny, and above freezing temps. In our summers, we have to garden in the humidity if we want to grow anything, because our winters are too cold. So, giving up the garden in high summer sounds absolutely ideal to me! :) Enjoy! I'm with you on that heat/comfort zone! I prefer the colder climes, but then again, I grew up in the San Francisco Bay Area where colder climes meant 50 degrees (F) and the heat was maxed out at 75 degrees (F) in an extreme year! Now, it's been dipping into the 30's (F) and on occasion below! Last summer which I was told was not the norm, got up into the 90's (F). In the cold, I don't want to leave the front of my little heater, so I get nothing done, summertime, I don't want to leave the house and relative coolness, so I get nothing done. (That has been my first year) Hopefully, this coming year, I'll be better at this weather! I have my two grandsons today, then they are back to school after Australia Day. Not sure what we will do yet, but as it will be another hot day in Brisbane we need to plan something out of the heat of the day. It's overcast here in Brisbane this morning, Rhonda. A nice change to all the hot weather we've had of late. I wilt in the hot weather too! Today, I'm making mango ice-cream. I haven't tried it before but I'm going to add pureed mango pulp to my usual vanilla icecream. Then, when we get our next hot spell (I'm sure there will be another one before this summer is over) there'll be an icy cold treat ready in our freezer. What a beautiful patchwork cover you are making, Rhonda. I love the fabrics you have chosen to piece together. Very nice. "Doing these simple tasks reveals to me every day that what we have here is real life. It's not hidden behind fashion, stress or longing for someone else's life. I feel that this is where I should be and this is as good as it gets. Our life isn't fancy but it's productive and genuine"
Thank you for sharing so much and for being the inspiration that you are. I find since I had the kids that the heat really saps me too. I am forever sitting with my feet in the paddle pool for a few minutes to reach a nice body temperature again! As for the agenda today, more thesis writing - I am under strict instructions from friends and family that I must work hard today so I play tomorrow :) We will see, it is now at that end stage where motivation is hard to find and each word agonised over! I also feel myself starting to think about how my time will spent in the days / weeks / months after all this is over, before I find a `real' job outside the home. I am making lists of priorities, where I will turn my attention to first, what I need to make etc etc. Isn't life grand? Because Sunday is my day out of the store, and because the weather here was lovely at 42F, I managed to get a lot done on the Do List: two loads of wash, clean-up at the rental house and the shop, hauled off the recycling, and am now waiting for the bread to rise so I can get it baked before bedtime. In the odd minutes I got in some quilting, which is what I really wanted to do! I am so looking forward to retirement, when all the things will be want to's. My husband said he wants to retire in the future to QLD but I let him know how unimpressed with that idea. Humidity is the worst, I think I much prefer to live somewhere like Tasssie. Today I'll make a sponge cake to make lamingtons with the children tomorrow for Australia Day, plus try to get all my granny squares made up to finish off this blanket before carpal tunnel surgery. We were snowed in for 3 days and were finally able to get out today. It felt good to get out of the house for a bit. It is funny how over here on our side of the world we long for summer and sunshine and you wish for what we are tired of..such is life! I also feel as though the heat saps the will to live, or at least to do anything useful but I can't yet see an end to it with the hottest days yet to come. If i want veg for winter, I have to start it now but nothing wants to germinate in the heat (I know how it feels), and I've had to quit making butter until the world cools off and the grass grows again. Sooo looking forward to a fire and soup and hot water bottles again. One of the highlights from today was making homemade pasta, which I haven't done in years. I love the fabrics you're using! The weather is a funny thing isn't it. I enjoy the heat if I have nothing to do but sit by the beach or s pool but this is rare with 3 little ones. More often than not there is work to be done and I enjoy it. On a hot day I do the bare minimum and am so unproductive. As soon as the weather cools I'm off to it again! I much prefer the meals in the cooler weather too. Cooking is slower and I feel I can cook in bigger batches too which reduces my workload a little to give me more time for other tasks. I'm glad I'm not the only one who will be glad to see Summer go! Working with fibre as often as I do, I get pretty excited about the onset of cooler weather. This is so much how I feel about my life, too - not perfect, not fancy - but honest and a work-in progress. Tomorrow I'll make bread, take the new pup with me to move the goats to the larger pasture for the day, change a dozen or so diapers...and cook, clean, wash on repeat :) Just another Monday! I am enjoying the hibernation of winter here. Walks outside wrapped up against the elements, sledging when it snows and the beautiful light when the sun shines. Indoors baking, sewing, knitting and cosying up by the fire. I need this time to ready ourselves for spring and summer. I hate the heat. If I could move to a colder state I would do it in a minute. It is not possible right now. We are stuck here till my husband retires. Our plan is to use an RV to travel. Here in this part of TX the heat can go up to 110 easy. Air conditioning bills are so high. We have had a very mild winter so far. Not even a freeze yet. It has gone to 35 or so, but not below yet. My husband is getting Spring fever and is ready to plant the garden. Can I ask where you got the pattern to make the bunny doll you made? I have a special day care little girl with a birthday in late March. I wanted to make one for her. I especially love your thought about your life not spent wishing for someone else's way of living - your life is real & authentic and perfect for you. I've followed your blog for years and I'm always comforted by the words you write, solidifying my own thoughts about home & life. We're still in the chill of winter here in the US - NE Texas, but I know what you mean about enjoying hot meals during the chill of the day. I'm enjoying an endless soup I make each week for quick & healthy lunches, this week it's a cabbage stew. Thank you for sharing a glimpse into your world and for giving us encouragement in our own lives! Hello Ingrid. I use the same recipe for all my bread, I just change the type of flour. Sometimes I add milk powder, sometimes butter, those elements just change the taste slightly. 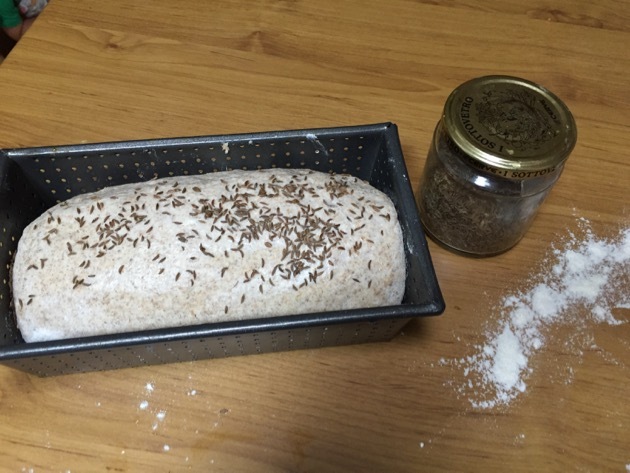 Here is the recipe: http://down---to---earth.blogspot.com.au/2010/01/simple-living-series-making-bread.html Good luck! thank you Rhonda for your link to the best looking bread. Love the Rye breads. Europeans just like the Rye breads rather then the soft white. 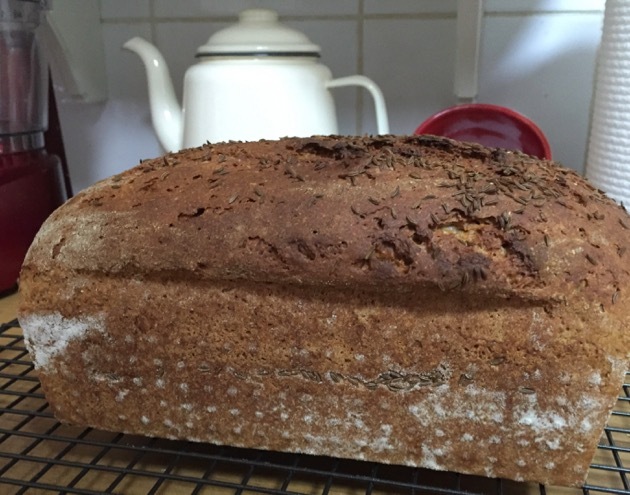 I have a wonderful recipe for a dark Grain bread. How can I get this recipe to you? I am sure You would like to try it. Can I posted to you in the mail? I feel the same way about the heat,totally unmotivated. Last night was actually quite cool and when I went to let the girls out(chickens) this morning I had a sudden burst of energy and got inspired to do an early morning garden. Roll on winter, can't wait. Have a great day. We had a blizzard this past weekend, so I have been in, except for goat and chicken care and filling the bird feeders. I finished two sweaters for a new granddaughter, tied an afghan sized quilt for same, made myself a cape from a bit of Scot wool with my tartan plaid, cooked, read, baked, cleaned closets and drawers, and bird watched. It has been glorious and I am sad that I will have to leave home soon to return to work! I look at these days as my actual life and not the ones where I leave home to earn my keep! :) Should I be fortunate enough to be home another day, I will make soap... How could anyone be bored being home? Thanks for the link to Maggie Rabbit. I would love to make one, too! I was thinking the same thing just the other day. Someone remarked that it's almost the end of January and it suddenly dawned on me that there is really only one more cold month in store for us. February is a tough month to get through for me-----all my thoughts are focused spring deciding on what to plant once the soil warms up enough to be worked or at least raked through for a few seeds to be sown----but February drags on for sooooo long. March is still chilly and sometimes we even get snow but every day gets us closer to that happy springtime.